CONFESSIONS OF AN EXPERT: WHAT’S INSIDE EMILY MCLAUGHLIN'S BEAUTY CABINET? Dear reader, My name is Emily McLaughlin and I wanted to take a moment to share with you my skin care regimen. 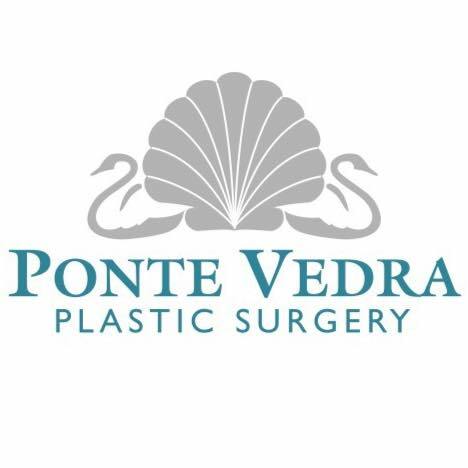 At Ponte Vedra Plastic Surgery we offer only medical grade and prescription strength products that will achieve the best results for your skin. That means that the concentrations of ingredients in our products are higher than the ingredients in the products you might buy over the counter, or at a department store. I try to be as consistent as possible with both my morning and evening regimen as well as getting monthly exfoliating treatments. I always tell my patient’s that it’s just like going to the gym; the more consistent you are with your skin, the more results you see! My main concern is age prevention and acne. My skin is oily, which is caused by overactive sebaceous activity. I also still fight acne at the age of 32. With this in mind, suppressing oil production, inflammation, clearing up break outs and preventing aging is key to my personal complexion success. I have found the perfect combination of products that are aggressive without exacerbating inflammation. My skin has never looked better! My regimen currently consists of ZO SkinHealth by Dr. Obagi and we carry this line at all of our locations. Below you will find my skin care regimen/daily routine. I have provided an explanation for each product that I use. I hope you find this educational as well as helpful. Oilacleanse - Cleanser for oily skin that provides a light exfoliation using jojoba beads while removing oil, impurities and make up. Daily Power Defense- a serum that repairs damaged cells, protects against future damage and contains powerful anti-oxidants that help to fight and protect your skin from free radicals in the air. These free radicals attack your skin throughout the day and can cause damage. It has a silky, moisturizing feel to it. Everyone should use this product. Smart Tone SPF 50 – This sunscreen is awesome! It adjusts to the pigment of your skin and helps to even out your tone using vitamin C. This formula creates a nice, natural glow for your skin. The more you rub it in, the darker the shade. It protects your skin from UVA, UVB and HEV rays. Great for underneath your make up or as a standalone natural tint. Vita Scrub- this is an invigorating scrub that is slightly more aggressive than the exfoliating polish, it combines chemical exfoliation with physical exfoliation (micro beads) it removes dead skin cells, dirt, excess sebum (oil), white heads and black heads. Offects Intense Eye Repair- this eye cream uses retinols and peptides to gently exfoliate the delicate skin around the eyes. This improves fine lines, wrinkles and the overall texture and tone of the skin. It also contains optical diffusers to reduce the appearance of dark circles, as well as soothing agents that help to decrease puffiness. I also use the Offects Sulfur Masque occasionally as both a mask, and a spot treatment. It delivers maximum strength sulfur medication to acne blemishes. Can be used on face, neck, chest and back! Ask me about the new ZO 3- step peel that we now offer. I have just finished my 3rd one and my skin looks incredible! If you are interested in having your own skin care regimen, call our office today to schedule your complimentary consultation with Aesthetician Emily McLaughlin at our RiverSide location.